Yields to date have been in excess of Propino with a higher specific weight and good screenings. In Agrii trials, yields were within 2% of RGT Planet and 4% above Propino. Standing ability was similar to RGT Planet but with slightly taller straw and similar maturity. 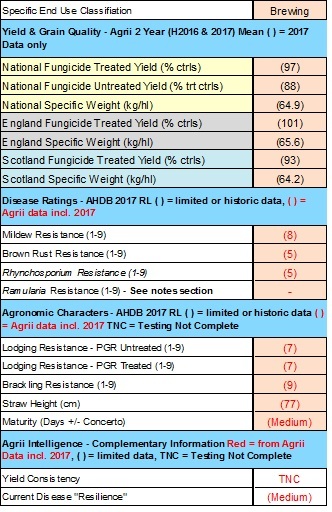 Good resistance to Mildew, with average scores for Rhynchosporium, Brown Rust and Ramularia.